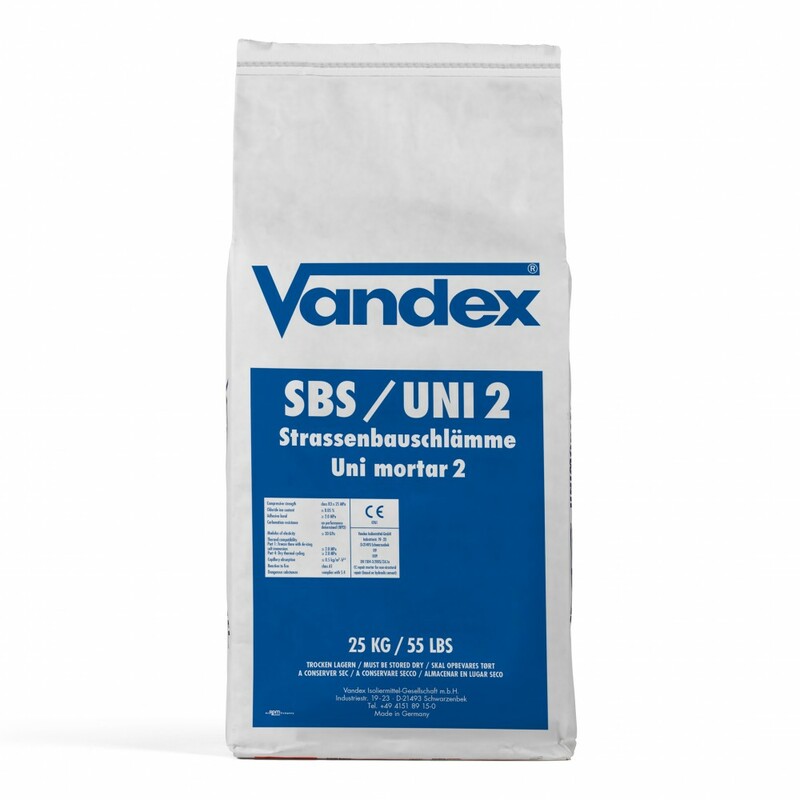 Vandex Unimortar 2 is a waterproofing and repair mortar for use on horizontal surfaces that is applied in the form of a screed. It is used as a repair mortar or top coat for road surfaces, car parks, ramps, and other horizontal concrete surfaces which are subject tio moisture and high abrasion. Vandex Unimortar 2 is applied in layers of 8 - 10 mm in a single working cycle. Once cured, it is resistant to abrasion and de-icing salt, is resistant to frost, and vapour permeable. The waterproofing properties of Vandex Unimortar 2 have been successfully tested up to 7 bar. Vandex Unimortar 2 is CE marked in compliance with EN1504-3. I have used this product before and so know how good it is. It's easy to work with and does exactly what it says on the bag! One of the few products in the marked that do 100% their job.